This was a quick little giveaway to celebrate the beginning of Summer and the travel that often comes with it. The winner will be receiving a travel set from Planet Dog that includes a feed bag and 2 collapsible bowls. 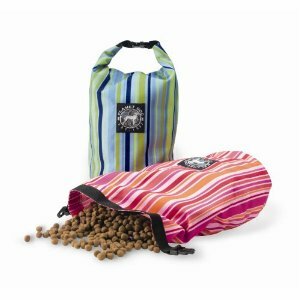 I love the fun colors and easy storage between outings, as these travel solutions take up nearly no space. That's always a good thing. 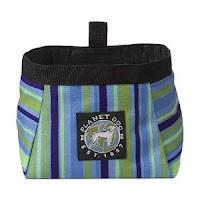 If you're not a winner and want to pick up a set of these adorable travel containers, you can find them at PlanetDog.com or Amazon in an assortment of fun colors: Feedbag and Large Bowls. To make sure your pup doesn't go hungry on the trip, we're throwing in 20 lbs. of Castor and Pollux pet food of your choice. Tanner and Oliver like Organix for its organic ingredients, but you can also choose their Natural Ultramix, and all come in a variety of formulas to suit your pet. You'll find puppy, adult, weight management, small dog, grain free, and senior. They've got a terrific selection of special foods for special needs. I always remind new users to note the instructions for changing foods at the Castor and Pollux website. Dogs have particularly sensitive tummies when it comes to changing their diets, so making the change slowly is of special importance. Be sure to read the brief instructions at the link above. Today's winner is SavingwithSomeone. How about that for a curious handle?!!! This winner will be contacted and her prize will be shipped pronto. Thanks for everyone's fun participation sharing your vacations plans. What a great variety there were in our comments. Enjoy your Summer! Products in this giveaway were provided for promotional courtesy by their respective makers. I was not compensated for providing this giveaway. No entry was required to win.